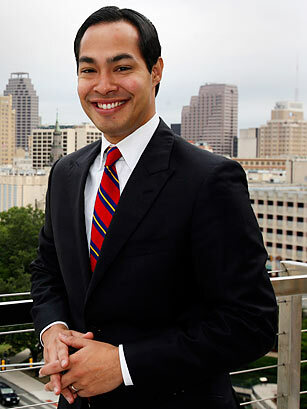 The Harvard Law grad, 36, oversees a majority Hispanic population in the nation's seventh largest city, which also typifies Texas' fast-shifting demography. Higher office may be in Castro's future. Over the years I have drawn inspiration from many folks, including my mother. She has never held political office, but has always been civically involved. Growing up, I learned to appreciate the value of the democratic process through her love for making a difference in the lives of others. The boring truth is that if I weren't in public office, I probably would be practicing law. I would love to find the time to dedicate myself to writing. The politics and availability of water will be an increasingly important issue in the 21st century. Too often, water is looked at as a local or regional issue, but clean drinking water is a global concern.